Retailers like Walmart, Target and Best Buy that have been responding faster to a more competitive landscape with expanded delivery services and spruced up stores are enjoying strong sales. Off-price chains like T.J. Maxx parent that offer treasure hunt experiences have remained a sweet spot. 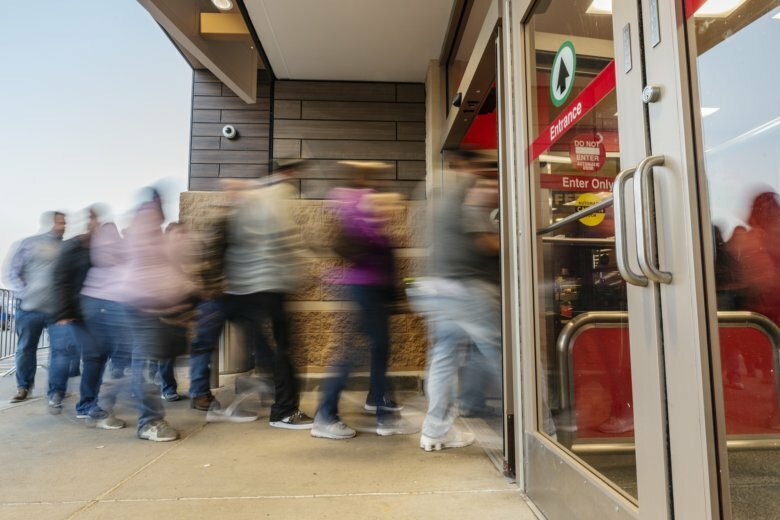 But mall-based clothing chains and department stores — particularly those that target the middle-income shoppers — continue to muddle along. Macy’s had weak holiday sales, ending a year-long recovery after a three-year slump. J.C. Penney and Gap are both closing more stores after lackluster holiday sales. 2019 is expected to be challenging as economic growth is expected to slow. The once-strong housing market is cooling. And smaller tax refunds could put a damper on the current quarter results, hurting sales of big ticket items like TVs. If shoppers pull back, analysts say that the healthy retailers will face some pressure to get them to spend. But for the already struggling chains that have been in a slump despite a strong economy, their prospects will become even worse. Off-priced chains gained market share and expanded rapidly during the depths of the Great Recession and stayed strong during the economic recovery. Retail consultant Craig Johnson doesn’t see their fortunes fading anytime soon. TJX Cos., which operates T.J. Maxx, Marshalls and HomeGoods, posted a 6 percent increase in sales at stores opened at least a year for the fiscal fourth quarter as more shoppers walked through their doors. The off-price concept has been a bright spot at Macy’s and Nordstrom. Macy’s is rapidly expanding its off-price concept called Backstage and CEO Jeff Gennette said its 120 stores with Backstage concepts are enjoying a more than 5 percent sales lift. Meanwhile, Nordstrom said that sales at its off-price division grew 4 percent but slipped 1.6 percent at full-priced stores during the latest quarter. Mall-based clothing chains like Gap as well as mid-priced department stores like J.C. Penney haven’t benefited from a strong economy because they haven’t differentiated themselves from a sea of sameness, Perkins said. Many are continuing to try to shrink their way to profitability. J.C. Penney said it was closing 18 stores, while Gap said it would shutter 230 Gap brand stores over the next two years. That would leave the Gap chain with roughly 427 stores, a little more than half of what it was a year ago. Gap Inc. is also splitting itself, announcing last week that it will create two independent publicly traded companies: low-priced juggernaut Old Navy and a yet to be named company, which will consist of Gap, Banana Republic as well as less well-known names like Athleta and Intermix. Meanwhile, a number of retailers have filed for bankruptcy in the first two months of this year, including Charlotte Russe, Gymboree and Payless ShoeSource. Late last month, Payless filed for Chapter 11 for the second time, and is liquidating all 2,500 of its U.S. stores. Gymboree is closing all of its roughly 900 stores, including its Crazy 8 stores. Lowe’s and Home Depot saw sales slow down in the fourth quarter amid an overall housing slowdown. The Commerce Department recently reported the number of homes being built in December plunged to the lowest level in more than two years, potentially signaling that developers expect fewer home sales this year. The National Association of Realtors said sales of existing homes dropped 1.2 percent in January to their worst pace in more than three years. But Perkins believes that in a slowing housing market, home improvement chains can still weather the slowdown.